It’s an addiction. For nearly three decades, the PC industry has gorged itself on profit margins. Whether it’s a “premium” line of notebooks or the latest uber-gaming rig, vendors have always managed to squeeze enough margin out of their product offerings to line their respective silk purses. And who rides shotgun to this PC profit gravy train like some deranged, hypodermic-carrying monkey? Microsoft. The Redmond, Wash.-based behemoth injected itself into the basic PC equation a generation ago, and it has milked the OEM license revenue stream ever since. Fortunately for them, average selling prices across the spectrum of PC categories helped offset this Microsoft addiction “surtax”. After all, what’s $70, $80 or $100 when the system in question retails somewhere just north or south of the $1,000 mark? 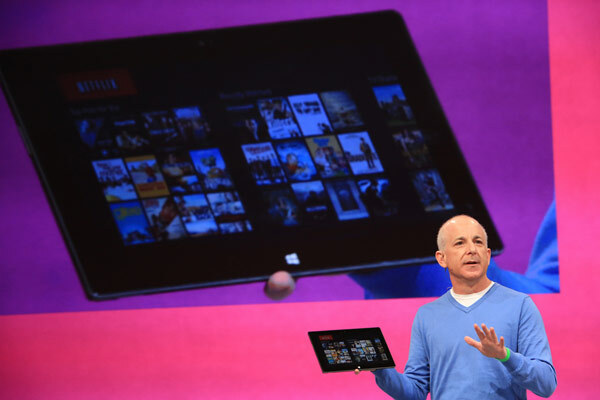 However, the looming “post-PC” landscape looks increasingly hostile to Microsoft’s well-oiled machine. A combination of BYOD, loss-leader pricing in the Android space and the iPad’s inexorable ascension, put the squeeze on the traditional OEM Windows licensing model. The net result? PC sales are flat, the ultrabook concept is failing to gain traction and the word “iPad” is now synonymous with tablet computing. In fact, things are so bad that Microsoft felt the need to jump into the hardware business, because it knows that no traditional OEM will be able to deliver a competitive tablet solution that includes the Windows licensing surtax. To appreciate the full impact of this transition you need only look at the latest iSuppli teardown data. With an estimated cost of materials hovering between $150-160, Google’s Nexus 7 tablet, which retails for $199 for the 8GB model, makes the company, at most, $10-20 (possibly less) in profit once you factor in marketing and development costs. Likewise, Apple’s new “don’t call it an iPad 3” includes roughly $360-370 worth of materials, a number that is actually lower than it might have been had the fruity ones not been able to leverage their massive economies of scale to whittle supplier prices to the bone. What these two devices have in common is a lack of the Microsoft surtax. Apple owns iOS, while Google goes a step further by open-sourcing Android for anyone and everyone to use freely on their devices. Now imagine what these products would cost to build if you had to factor in an OEM license for Windows RT which, according to sources within the Asian manufacturing supply chain, will run between $50-65. Suddenly, those thin profits on the Nexus 7 turn into a net loss of $10-25 per device. And the new iPad? Take away those Apple-specific economies of scale benefits and adjust the hardware cost per unit upward by $30 or so and you’re looking at a total cost to produce and license a comparably equipped Windows RT device of roughly $455-470. Given that you can buy a real 16GB iPad for $499, these numbers make it nearly impossible for an OEM to produce a competitive product and sell it at a price point that will make a profit. And note that none of the above scenarios incorporates Windows RT’s more mainstream cousin, Windows 8 Professional. To get that version you need to cough up another $10-35 per license, not to mention build a heavier device that runs hotter and has less battery life. In other words, the Intel surtax applies as well. There’s a reason why Microsoft has jumped into the hardware arena with Windows RT and Surface: They’re the only company on the planet that can produce such a device at a price point that will entice customers to take notice. So if you’re thinking of making the Windows RT plunge, I’d say hold off until after the holiday season when there will be a glut of unsold OEM tablets clogging retailer clearance shelves.